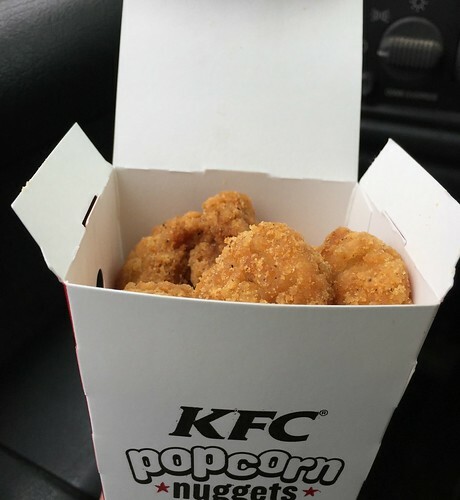 KFC has these new Popcorn Chicken Nuggets….which are slightly larger than the previous “popcorn chicken” they used to sell. This is a good thing because there is more actual chicken in these. But there are still several pieces (in my batch at least) that were more breading that meat. Still some good flavorings here and the box was stuffed full of these bite sized bits. Available now….and for a limited time? who knows.